Should I set up a special needs trust for my disabled child? It depends. If you have a disabled child who relies on your financial support, a special needs trust (SNT) can provide income and protect the child’s right to receive government benefits. The SNT was originally created to allow children and adults with special needs to retain access to public health benefits (such as Medicaid and Social Security) without counting his or her parents’ income against them. 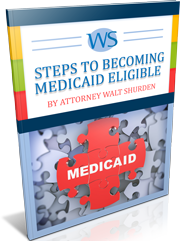 In the past, children who were willed money and assets from their parents’ estate could be put over the allowable income limit to qualify for Medicaid. With a trust, the money goes into the trust to provide funds for any of the child’s care that is not covered by government benefits. Generally speaking, a child with special needs will qualify for government benefits if he or she cannot perform any “substantial gainful activity” due to a physical or mental disability that will last for at least a year or result in the child’s death. A trust can be written to provide a regular monthly income for the child, as well as provide funds for housing, utilities, and other costs of living. Funds from a trust can be used to pay for a home nurse, family caretaker, or other professional who helps your child perform daily tasks. Assets in trust are protected from being used to pay the trustmaker’s past debts and serve as a settlement in a lawsuit, so if you own a business or could be subject to legal action, a trust will ensure that your child retains the funds no matter what happens to you. At Walt Shurden Elder Law, we know how important it is to make sure your child is safe from harm after you can no longer provide protection. That is why we create comprehensive, legally binding trusts to ensure your child’s health and happiness, and can even act as your trustee to avoid misuse of funds. Email us today to find out how we can be of service.